Today is Resurrection Sunday and I am grateful for the gift of Salvation through Christ Jesus my Lord. I know you are too. 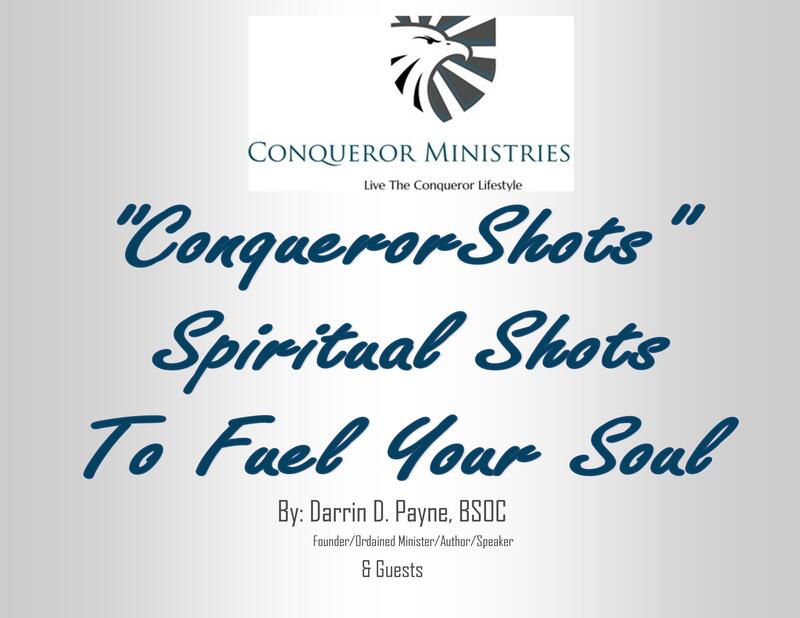 This post is one of the first to make up “ConquerorShots.” The Lord reminded me of it as I was making breakfast and fellowshiping with the sweet, Spirit that resides in me today. We all need to experience REAL Hope & Faith. Every day is a blessing of gifts, miracles and wondrous, Divine Provisions when you practice these 2 spiritual principles daily. This issue of UNCERTAINTY has come up in varying conversations this week. It continues to be a condition souls from all walks of life are having difficulty with. The most obvious difficulty I continue to realize during the talks is in recognizing how UNCERTAINTY is an OPPORTUNITY TO BUILD STRONG FAITH. This article was published last year at this time and God reminded me of it last night. Gracious Eternal Heavenly Father, I pray that this truth will anchor in the souls of your children and that they too will realize how EFFICIENT your grace is as they recognize their indwelling potential to live a Conqueror Lifestyle daily. In Christ Jesus’ name I pray, AMEN. A Conqueror Lifestyle is the BEST lifestyle. Being more than conquerors is a spiritual principle that keeps you hopeful on a daily basis. It requires continuous action. Faith is the action Conquerors use daily. With all of the issues we deal with today – economic uncertainty for one – discouragement, by way of distraction, is a design to disrupt faith. Dismay breads fear. It is extremely common for me to walk through the course of any given day and get overwhelmed by some situation that is not going the way I expected it to. Any circumstance with designs to overtake my faith and replace it with fear becomes an opportunity for new faith to develop. 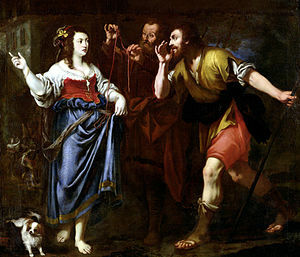 In the Book of Joshua the 2nd chapter you can read about the story of Rahab. Rahab heard what God had done and her heart awakened to TRUST IN GOD. The Israelite men were God’s men. She did not view them as objects for capital gain. Instead she was IN POSITION as a vessel for God to use as He deemed necessary. It is this design for FAITH THAT WE WILL NEED TO REALIZE IN ORDER TO MAINTAIN A CONQUEROR LIFESTYLE. We live life from day-to-day under the auspices of God’s Sovereignty. NOTHING, ABSOLUTELY NOTHING, HAPPENS BY SURPRISE IN THE CREATOR’S WORLD. Yet human beings are constantly attempting to act as “the controlling force” of their destiny. Psalms 24:1 says the Earth is the Lords and the FULLNESS thereof. If you are ever going to be of use to anyone it is because of God and God alone. God is ALWAYS UP TO SOMETHING GOOD BECAUSE GOOD IS ALL HE DOES. You have to hear about God’s power; hear about God’s grace; hear about God’s love; hear about God’s faithfulness; hear about God’s Sovereignty. Have you heard that Jesus Christ SAVES to the UTMOST? Hear how He provides, protects and preserves His people. Hear how He can DO ANYTHING BUT FAIL. You can hear it from Genesis to Revelations as you read about the Mighty God we serve. All the while your heart will awaken to a continuous cultivation of FAITH in all that you hear about Him. As this faith matures, a newness in the way you think and respond to ANY life situation erupts. You will say things that you thought you would never say, do things you thought you would never do and life will take on new meaning. This and more is likely when you HEAR of his goodness, strength and power and discover He is always available for you. Faith comes by what you heard and what you hear from the Word of God.